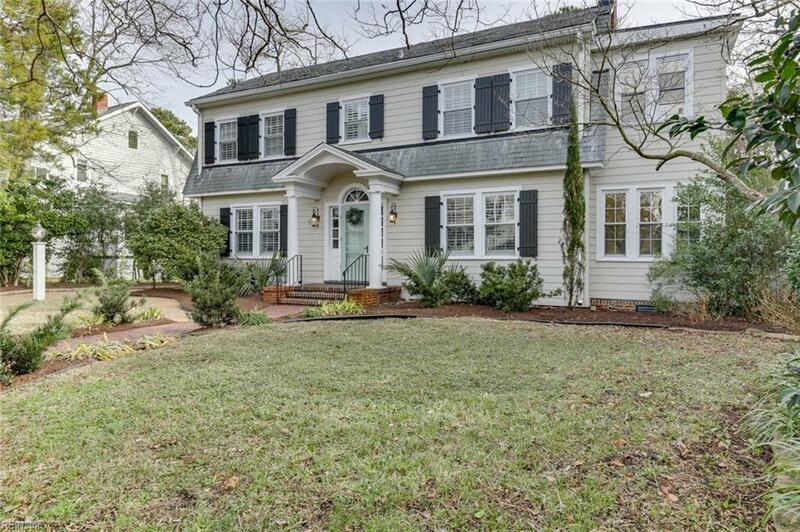 6000 Upper Brandon Pl, Norfolk, VA 23508 (#10237104) :: Abbitt Realty Co. 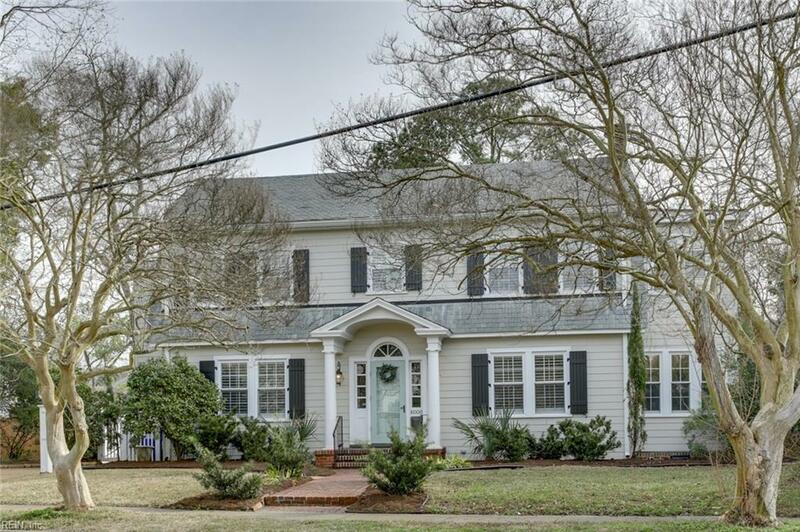 Step into the traditional foyer of this center hall colonial & you will see that this isnt your typical renovation! So much light, so roomy & so much character. Plenty of space for a large family to spread out & then cozy up for a movie in front of the crackling fire. Got toys? There's a perfect room to use as your play room & the yard is shouting for someone to play. Entertaining friends? No problem w/the decked out kitchen, the private outdoor patio & the spacious dining room. Lots of clothes? The master was designed for you! 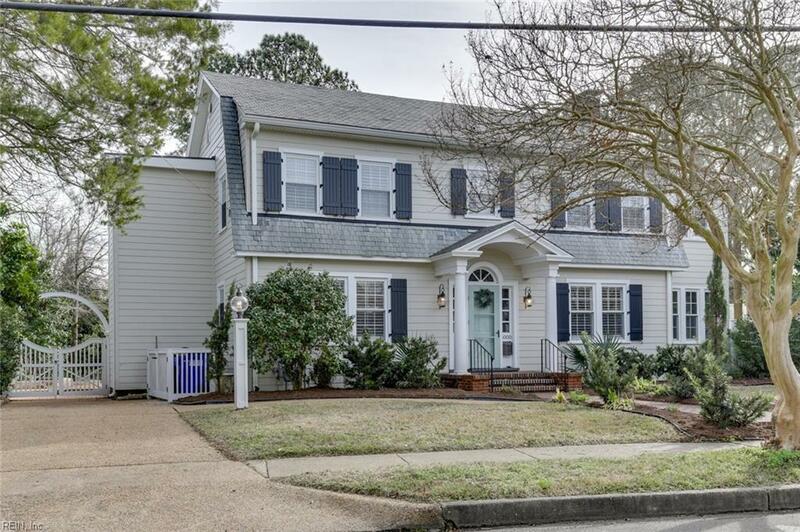 NEW: Crown molding, Custom plantation shutters, Refinished hardwood floors, Beautifully renovated baths & kitchen, Huge laundry room w/custom cabinetry, 2 fireplaces, Fresh neutral paint, New HVACs, Tankless water heater, Metal roofs, Hardy plank siding, Replacement windows & more. Full 3rd floor with an almost-finished small room, tons of attic space and a cedar closet. 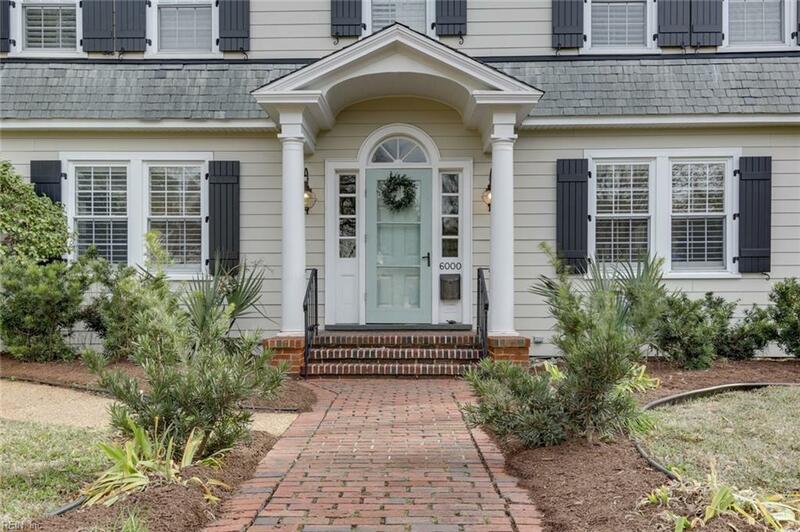 Walk/Jog friendly neighborhood convenient to parks, bases, shopping and ODU.